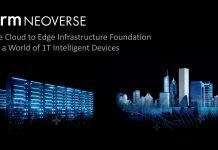 Today we have some exciting news in the Arm server world. The Ampere eMAG is now officially shipping. This is now the second shipping Arm server processor on the market along with the Marvell/ Cavium ThunderX2. You can read our ThunderX2 Review and Benchmarks. While the ThunderX2 is focused on providing dual-socket platforms and HPC workloads, going directly at the Intel Xeon Scalable CPUs and AMD EPYC market. Ampere eMAG goes at a different market, specifically the single-socket server market. This is the same market that the Qualcomm Centriq 2400 also aimed for before the company failed. Some may be wondering, who is Ampere, and where did they come from. Some time ago we covered how the Ampere 32 core 64-bit Arm chip came from X-Gene 3 IP. 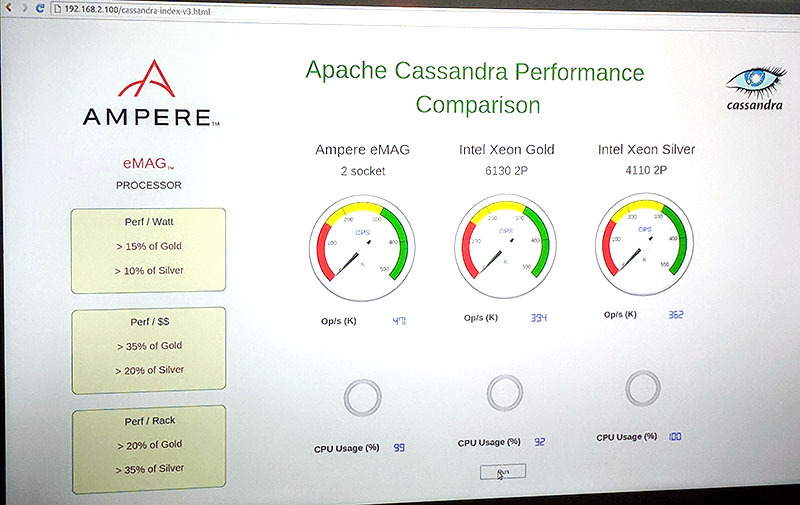 Ampere bought the X-Gene 3 IP from Macom (who acquired the product from Applied Micro.) When we first heard about X-Gene 3 it was an announcement and a piece of paper at OCP Summit. Ampere’s IP purchase and backing by Carlyle Group allowed the company to go from IP to a product relatively quickly. This is another advantage of the Arm ecosystem. The company also picked up two teams from Qualcomm, covering circuit design and software. 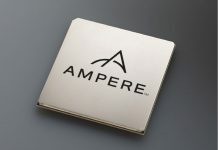 Combined with some executive hires from Intel and other semiconductor companies, Ampere went from zero to shipping product very quickly. 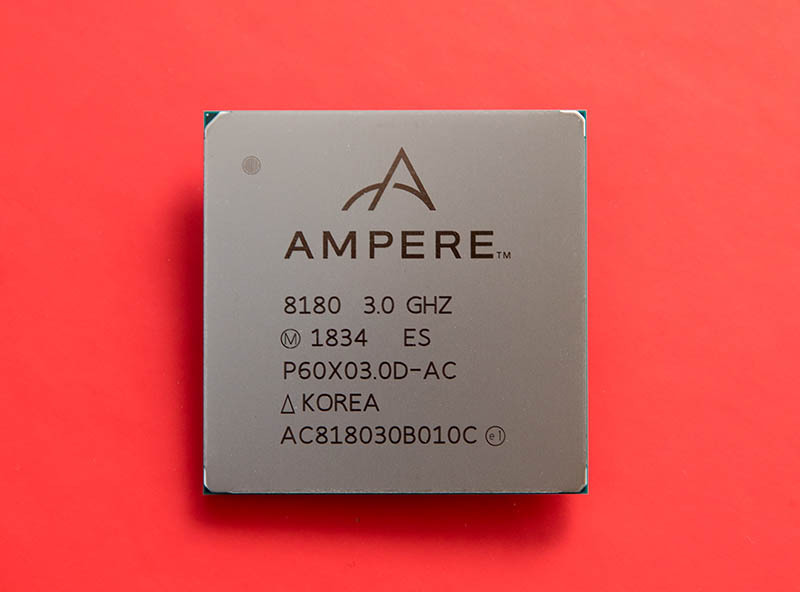 The Ampere eMAG SoC has up to 32 Arm v8 64-bit cores. Clock speed scales to 3.3GHz which is on the higher-end of current embedded and low-end socketed designs (e.g. Intel Xeon Silver 4110 series.) There is 32MB of L3 cache or about 1MB per core on the 32 core part. As we would expect from a server CPU, the Ampere eMAG supports ECC memory and has 8x DDR4-2667 (or DDR4-2666) channels. These eight channels can run in two DIMMs per channel (2 DPC) mode which means that the platform supports up to 1TB of RAM using 64GB DIMMs. 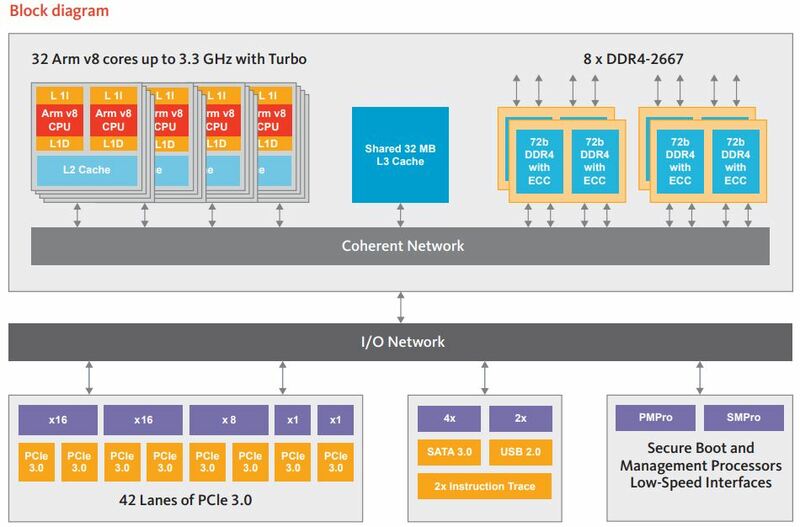 There are also up to 42 lanes of PCIe 3.0 and eight PCIe 3.0 controllers. Four SATA III ports are present for basic storage connectivity. 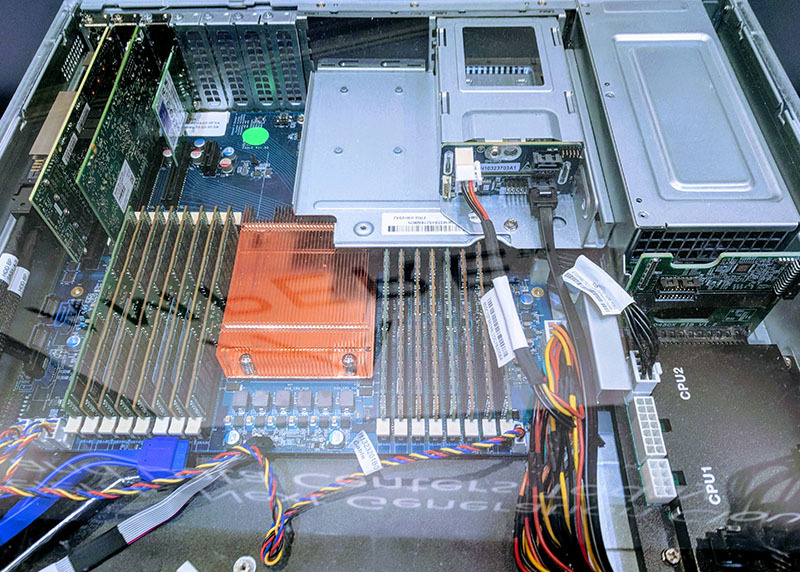 With this setup, Ampere hopes that the eMAG can show some novel use cases positioned against Intel Xeon Scalable, Intel Xeon D and AMD EPYC. Here, Ampere is highlighting some memory bound workloads as being the key to the chip’s success. There are appliacations that need storage and networking I/O and require memory bandwidth over core performance. The 32 core price is about what we see with the AMD EPYC 3000 series 16 core parts and significantly less expensive than what we see for the Intel Xeon D series. 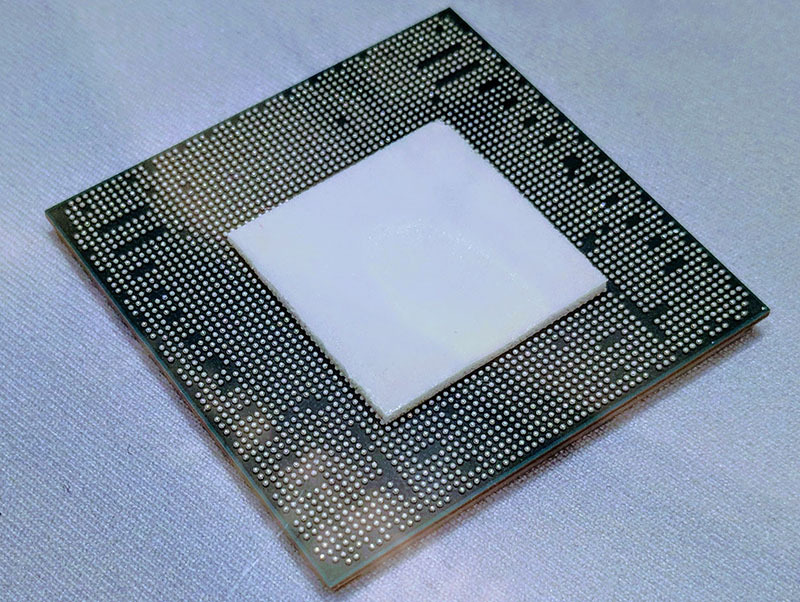 The 16 core eMAG CPU is priced at $550, or about what the Intel Xeon D-2141I we recently benchmarked and reviewed costs for 8 cores. The new eMAG CPUs will be sold to ODM direct/ white box channels as one would expect. There will also be reference systems and Lenovo will be launching eMAG platforms. We are told that the Lenovo 1U and 2U platforms will be available “soon” worldwide given Lenovo’s reach. 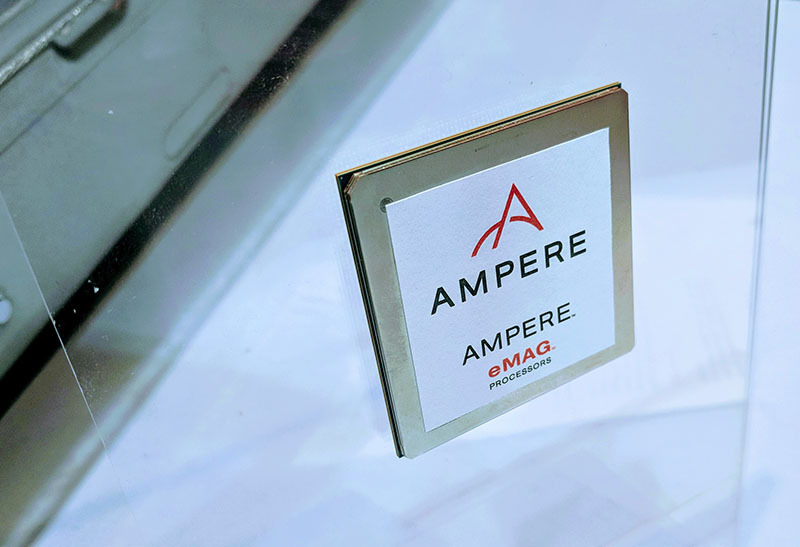 Ampere has shown off the eMAG development platform in a Lenovo chassis for some time (as pictured above.) It makes sense that Lenovo is a major partner at launch. This is not as in-depth as a normal CPU launch at STH. We are going to have more in the near future on the Ampere eMAG. Perhaps as important as the current generation chip is the roadmap. Ampere has a roadmap of four new products that it says will come out in rapid succession. The next parts will be fabbed on 7nm TSMC like the next-generation AMD EPYC “Rome.” There will be dual socket capability in the next-gen product. Unlike AMD EPYC, and like Intel and ThunderX2, Ampere is targeting a monolithic die and lots of memory bandwidth. This is certainly an exciting time in the market. Stay tuned for more Ampere coverage on STH.